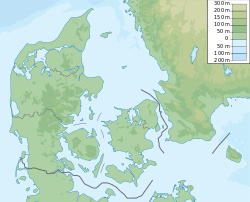 Osted is a town with a population of 2,157 (1 January 2015) in Lejre Municipality, Region Zealand, Denmark. The town is located at the road between the cities of Roskilde and Ringsted. The Danish jazz bassist Niels-Henning Ørsted Pedersen NHØP (1946-2005) and the film producer Peter Aalbæk Jensen were born in Osted.